When the galley copy of my new book arrived last week, my husband sat down with it. He doesn’t read most of my (non-online) writing. He’s not really my audience, for one thing. For another, he isn’t such a fan of reading. Not the way I am, anyway. 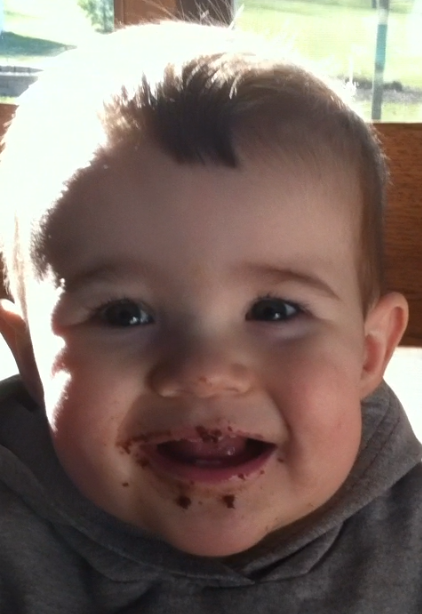 He assures me he knows my writing is good. And because I know he doesn’t do faint praise in any form, I believe him. So when he sat down with my new book, I was a little nervous. I just reread it myself a few weeks ago for the final editing, and I was surprised. Shocked, really. Ask any editor who’s worked closely with me: I do not like my own work. I can acknowledge its goodness in form and content without liking it. I can, and do, come up with ways to market it, convince other people to read it, even pretend that it’s good. But I do not like my own work. This time, I found myself sucked into words that came out of my own brain (but which I had NO MEMORY of writing). I recalled, so vividly, just what motherhood means to me and I found myself journeying through the rosary a whole new way. But wait. It’s MY BOOK. I’m NOT SUPPOSED TO LIKE IT. Or that’s what I thought. I tried not to pay attention to my husband sitting there, kids in and out of his lap, my book open in his hands. Would he like it? In fact, I think I waited a couple of hours, until the kids were in bed, the garden was watered, and I was safely tucked onto the couch with my evening reading, to ask what I was afraid to hear answered. In that one word, by my Man of Few Words, I heard so much more than just an adjective or even a compliment. I heard the support he feels for his own vocation, the pride he feels to be the #1 Cheerleader in this writing venture, the fact that he will likely mention it to a few people in his low-key way. It was like the Blessed Mother patted me on the back, truthfully. And this book is the one I’ve written for her, more than any other so far. 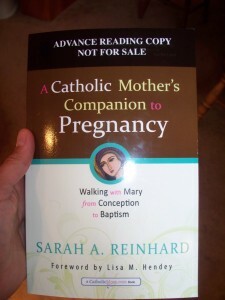 This book was done because of Mary (fueled in no small part by my mother-in-law’s praying), for Mary, and specifically dedicated to two women who have been Mary to me in so many large and small ways through the years. 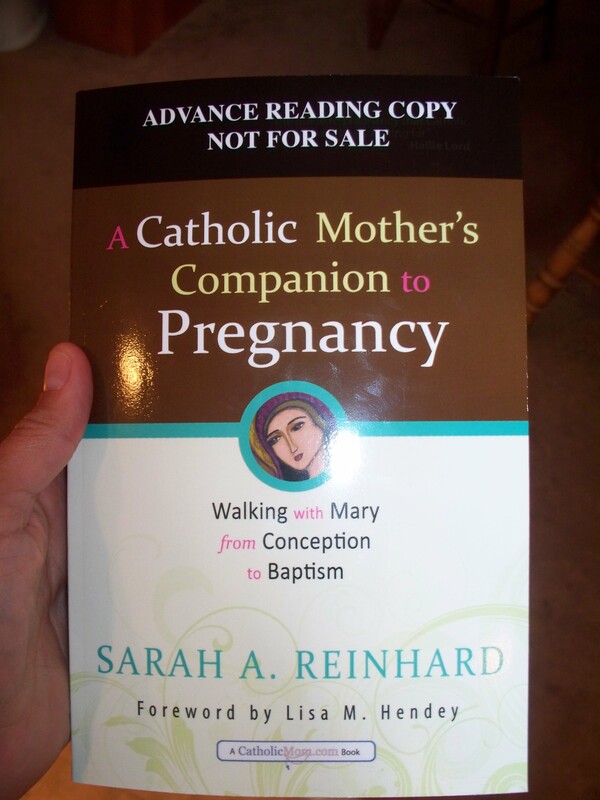 Don’t forget to sign up by July 15 if you have a blog and you’d like the chance to review A Catholic Mother’s Companion to Pregnancy: Walking with Mary from Conception to Baptism.